This web site encompass themes such as polishing, cutting, cleaning, grinding various kinds of stones including natural stones like granites, marbles, limestones, sandstones and man made stones like engineering stones. The main purpose is to provide information who are looking for stone polishing and cleaning products all around the globe. Although many industries involved in granites and marbles processing, there are not so many site which covers these themes horizontally. We aim to become a useful web site which provide precise and useful information those who look for tools, products, powders, detergents and methods for polishing and cleaning and those who need restoration services. 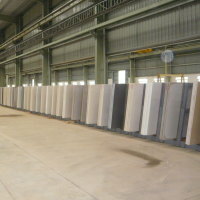 As stone processing, there are two aspects. 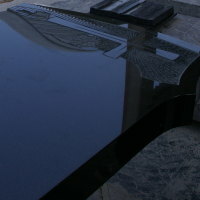 One is involved in making granite slabs, marble slabs, monuments, tombstones all products made from "stones". For this purpose you need tools and methods for "manufacturing" stone made products. One more is that "cleaning" and "restoring" natural and manmade stones. For example, granites and marbles are used everywhere from floors to wall, exterior to interior but these need to be restored or cleaned in some points. Stones do "deteriorate". No matter what kind of stones, restoration and cleaning will be indispensable. We hope you will find best products, services and companies through this granite and marble polishing and cleaning portal. If you would like to post your company's products and services information, please send e-mail to us. We will post your articles at free of charge. Polishing stones requires high levels of skill, especially when making a smooth finish, but it also requires the appropriate tools. Skills and tools are said to be the "two wheels of one cart." If you are using inferior tools, you need to spend more time altering tools. If you are supervising workers, altering tools frequently or ordering a polish again because of an unsatisfactory gloss, can be the most expensive process. Our products are for professional who seek the best quality that will achieve the fine gloss that will attract many people in the world. We used to produce tools for granite polishing and marble polishing and also distribute chemical products such as granite cleaning liquid and powders. Below introduction will be the remnant of the past. Why do many of our customers become long-term users, some for even over 20 years? We once asked our customers what were their reasons for using our tools over such a long period. It is better to quote our customer's opinions than explain the reasons ourselves. "If we pursue only a good price, there are a number of companies that are capable of providing polishing products cheaper than yours. However, your products are continuously subjected to a high quality production process. Polishing products must be reliable. We don't want to buy polishing products whose discs or pads wear out too fast or that don't have the adequate cutting edge. The quality must be consistent: always high. All the production processes must be traced. This is why we don't change to another company's tools." "Your products are not cheap but worthwhile. In the long run, I believe it surely measure up to." "Well, the reason we tried your tools was because we experienced problems with our previous manufacturer's products. We needed something that was more cutting edge. Once we tried yours, we were surprised that this was just the thing we were looking for." "Your sales person frequently visits our work place, carefully listening to our demands. I like this practice. Whenever we need support, you will give us just what we'd expect." Yes, we do not compete with those who only pursue producing cheap products. The price is important but quality comes first, and so does the customer. Needless to say, we are constantly improving our production costs in order to sell our products at the best price. Why hire more than 60 engineers for development, manufacturing, and production efficiency? Manufacturing, production, and development comprise the core departments of the company. We hire specialists and experts for each department. The difference between our engineers and those of other industries is that our engineers will carry out the development and improvement of tools using actual polishing tests, since a tool will prove its "value" only once it is used. The product that will become a vital part of your work has passed through thousands of rounds of trial and error before it has become a "product." Products, such as the polishing pad, are examples of products that we have pioneered in the world. With our professional teams developing and upgrading stone-processing tools, we are confident that we will contribute to your business. Why have we been supplying products to more than 80 countries and regions for the last 100 years? We have always focused on developing high quality tools for use on stone that will satisfy skillful professionals across the world. 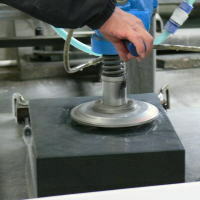 Currently, we hold the largest market share in stone-polishing tools in Japan and some other countries. We have proven to be the No.1 in stone polishing tools in Japan and have been supplying tools to more than 80 countries and regions across the world. We are honored to say that our products have been approved by many users. How is it that many of our employees can polish stones themselves? Once our employees join our company, they undergo an in-house training, which usually begins with polishing granite and marble. We have the same facilities as most of our customers, and by using these machines and tools, all the employees learn how to use our products. We take pride in what we make; we learn this from the very beginning of our career. Many of our sales people spend time polishing stones using our newly developed products or our standard products. We do not sell products that we are not confident about. Our sales people demonstrate how to use our products. We are polishing tools manufacturer, no more and no less. We keep running tests in order to manufacture the best products. Although our tools are used by many do-it-yourself fans across the world, we have developed tools for professional stone fabricators. This is because the people who polish stones, such as granite, marble, travertine, and terrazzo, as a form of employment need to work with equipment of the highest standard. We are honored to say that most of our customers are top-level professionals from across the world. In our pursuit to meet these high standards, we have been strengthening our core technology in order to reach the highest level, and we are still on our way to the top. Why do we constantly try to develop eco-friendly products? 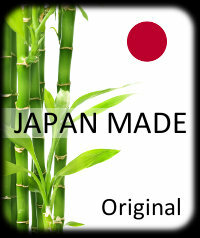 We do not want to produce products that are extremely hazardous and poisonous. 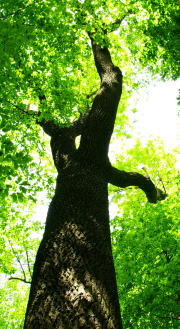 We care about our environment and always investigate the effect of our products on the environment. Needless to say, sustainable development cannot be achieved if you do not care about the environmental impact, especially those companies that produce numerous products. We have an environmental committee that is in charge of developing methods to reduce the environmental load from our daily activities. This committee assesses the company's office and factory and ensures that all regulations are complied with. Our factory is located within a traditional town, and we are also a part of the communal society. Why do we offer complete lifetime support? 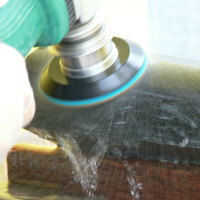 Using polishing tools is not always easy. Sometimes, when you need a higher quality finished surface or if you are trying to polish a stone that you have never polished before, we can support you with various tools. Many more tools have been developed, and owing to this, you might be confused with what will be the best tools for a specific application. This mismatch problem sometimes causes serious damage. Selecting the best tools for each application has become a difficult and time-consuming task. If you have trouble selecting the best tools for your application, please let us know. Our experienced professionals will help you select the best tool for the process. Additionally, if you are facing a quality problem with regard to a polished surface or cost reduction issue, we will be happy to assist you.